I have been privileged to be an elected member of BATOD for five years and this has given me a great insight into the organisation and see the influence and breadth of support it offers to members, the profession and to the outcomes and life chances of deaf children. I am a Manager of a Sensory and Physical Teaching Service and have worked in many different settings as a ToD including primary and secondary resource bases, a school for the Deaf, and as a peripatetic ToD. I have also worked as a teacher in special schools, language units and in the NHS as a Speech and Language Therapist. I am passionate about deaf education and have particular interests in the early years, assessment and improving outcomes. This passion drove me to seeking election to BATOD’s NEC and now to President Elect. I believe that this is a time of significant change in special education and that there are challenges for us as profession ahead. As always BATOD will be at the forefront of these changes representing our interests. It would be an honour for me to support the President and the NEC in ensuring that we respond to these challenges and secure a strong foothold within a changing landscape, always with the best long-term interests of deaf children and young people at the heart. I wish to be considered for re-election as Treasurer for BATOD. I first took on this role in May 2013 and since then have been improving and updating the smooth running of our financial affairs. This work is ongoing and I would like the opportunity to take this further. I am now a retired Teacher of the Deaf having left my post as Teacher of the Deaf/Business Education Teacher at Donaldson’s, West Lothian in September 2013. My original post on NEC was as the Scottish Representative. I also completed two years as Minuting Secretary. At a local level I am an active member of BATOD Scotland committee. In the past I have been Chair and Treasurer of this committee. 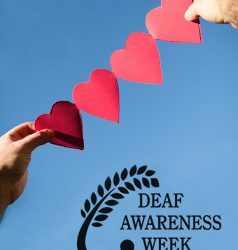 I have been a Teacher of the Deaf for 6 years and a CSW for a number of years before that. I currently work in a resource provision for deaf learners in a secondary school in London. I am passionate about seeing deaf young people develop a strong identity and realise that being deaf need not stop them from achieving their dreams and ambitions in life. In the mainstream school where I work I meet many hearing young adults who would love to take a GCSE in BSL and I am a strong supporter of seeing this option available on the curriculum. 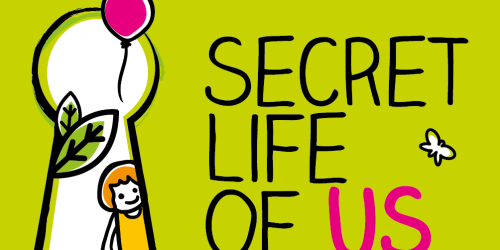 For several years, I worked full time as a Specialist Teacher (HI) in Kent. Presently, I work part time at a college in Kent. I continue to be interested in Post 16 education. I am concerned about the availability of quality support for the learners, and the erosion of access to ToDs and other qualified staff and their training. I am interested in the transition from school into Post 16 education, the availability of courses or training, and the general lack of opportunities for employment after education, for young deaf adults. At present, I am Chair of adept and in this position; I endeavour to work with other professional bodies to improve the education of deaf learners. By standing for election, I hope to continue the association between BATOD and adept, so improving the opportunities and standards for the deaf children and young people. This is my eleventh year as a Teacher of the Deaf, and in that time I have worked in a school for the deaf, as a peripatetic teacher and in integrated resources in mainstream primary and secondary schools. I am currently working in a secondary resource for Doncaster Metropolitan Borough Council. Over the last few years I have gained experience of working with deaf children with additional needs, including those with complex needs, and also with deaf young people from the Roma community. I was previously a member of NEC from 2010 to 2016, and this experience brought a lot of value to my career and my understanding of the profession nationwide. During my time on NEC I supported our move to set up a Facebook page and Twitter account, and spent some time as a Commissioning Editor and Website Manager. I have a wide range of research interests, and whilst in recent years I have concentrated on my interest in social media, I am hoping to explore other aspects of deaf education over the next few years. As a member of NEC I hope to continue to support BATOD by running our social media accounts along with Paul Simpson, and to contribute to the future of deaf education across the UK. My name is Martine Monksfield and I am currently working as a peripatetic Teacher of the Deaf for Haringey and Enfield Council’s Deaf Services. I used to be a CSW at a Deaf secondary school. I have taught at a Deaf Primary school and also in a deaf resource provision in a mainstream primary school. 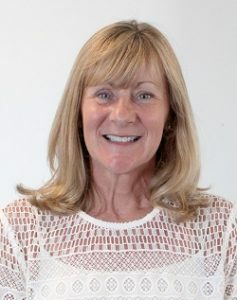 Before I embarked on my teaching career, I worked as a PA to Bencie Woll, who was the director of DCAL (Deafness, Cognition and Language) research centre which was my first formal experience in Deaf research. Voluntarily, I used to be a fundraising/PR officer for Great Britain Deaf Football and was the Media Assistant for UK Deaf Sport at the 21st Deaflympics in Taiwan. This range of experience has meant I feel I’ve learnt so much without realising it! 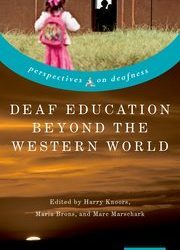 I am Deaf myself, and on the advice given by well-intentioned Teachers of the Deaf to my family in N Ireland 30 years ago, was brought up orally. My secondary placement at a Deaf boarding school in England thankfully exposed me to British Sign Language as a 2nd language, which has been crucial to my social and emotional well-being. I grew up with hearing aids before my hearing loss deteriorated to the point I needed a cochlear implant. I like to think I have good knowledge and experience in knowing the benefits of both languages and both amplification modalities. My passion for education begin when I studied my first degree in Fine Art, which I completed in Plymouth. Whilst undertaking my degree I worked throughout school holidays for Blackburn with Darwen Young People’s Services with the disability team. I also worked for an organisation at weekends for children with SEND in Plymouth. Using my creative skills to ensure positive experiences for young people led me to enrol on a teacher training course in 2014. I chose to complete my Primary PGCE through the Schools Direct route as I could gain as much experience as I could in good and outstanding schools within the Blackburn and Darwen area, whilst receiving high quality training from local professionals. I am currently in my third year of teaching; I am a mainstream supply teacher in primary education. I completed my NQT year working in a small mainstream school and taught children aged 3-11. I gained experience of the curriculum and expectations throughout school and enjoyed working with children from Nursery to Year 6. Previous to this, I worked in a challenging setting; the class included children with ESBD, EAL and SEND. I loved the challenge of engaging all pupils in an exciting and creative curriculum which I was able to adapt and innovate to meet the needs of the class. I am passionate about my job and enjoy seeking opportunities in order to gain as much experience and knowledge as possible. Deaf Education is a particular interest of mine as it is so diverse and offers teachers the opportunity to work with children from early years up until further education. I am currently completing a Teacher of the Deaf PGDip at the University of Manchester. As I am at the beginning of my career in deaf education, I would like to gain as much experience and knowledge as possible and I want to become more involved in the work that BATOD does. 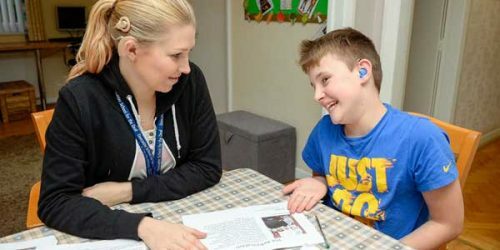 I have been a Teacher of the Deaf for over 25 years and have spent the majority of that time teaching severely or profoundly deaf youngsters in firstly a Secondary Unit, then in two different Primary Units. I moved back to a Secondary Resource Base 5 years ago where I immediately became involved in the modern exam system, soon witnessing the difficulties and frustrations that deaf students experience when trying to access examination questions. When the opportunity arose, I undertook BATOD training to become an accredited examination modifier, which has been, and still is, an extremely satisfying role. The work, I feel, allows me to make a positive difference for deaf students, but from a position outside of teaching. I have also enjoyed acting as a mentor for colleagues undertaking the MQ PGDip course and as an External Teaching Placement Supervisor for the University of Manchester and, more recently, the University of Birmingham. For the past 2 years my role within the service has been in the peripatetic field, a main focus being within secondary schools that have large numbers of deaf students on roll. I have been on the BATOD North committee for a little under a year and have enjoyed the meetings, discussions and helping to organise the annual BATOD North study day enormously and would like to continue this work on a national level. My main interests are training future Teachers of the Deaf and continuing the drive for the accessibility of examinations. However, all aspects of deafness and deaf education interest me and I feel that I possess a wide knowledge and experience base to offer the National Executive Committee.